Letter describes how Agnes Allen will finish her high school education. Agnes left the school but would return after Christmas. 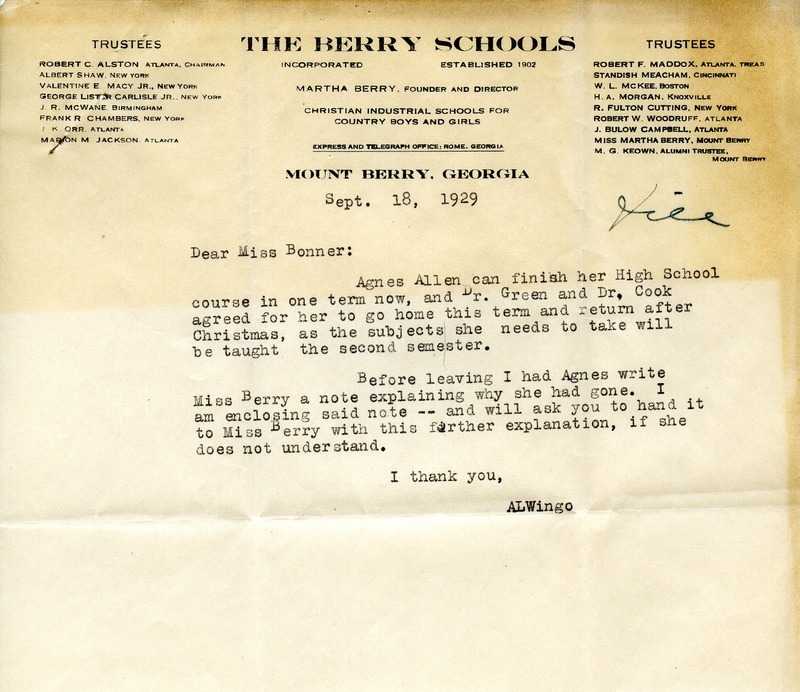 A. L. Wingo, “Letter to Bessie Bonner from Alice Wingo.” Martha Berry Digital Archive. Eds. Schlitz, Stephanie A., Sherre Harrington, Chelsea Risley, Alan Henderson, et al. Mount Berry: Berry College, 2013. accessed April 25, 2019, https://mbda.berry.edu/items/show/11409.